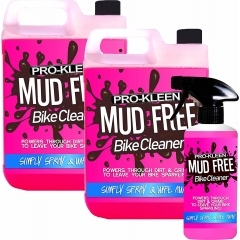 We've made cleaning bicycles and motorbikes easy with our Mud Free cleaning solution. 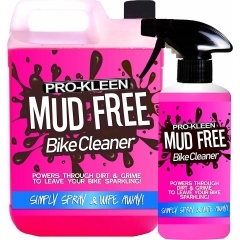 It powers through dirt and grime to leave your bike sparkling! Mud Free is safe for use on all parts and surfaces including carbon fibre and will not harm seals, cables, brake pads or rotors and is safe on anodised metal.